Guest Column: Building a Branch Scorecard. As the old saying goes, “You can’t manage what you can’t measure”. I have seen several branch managers thrust into a title with very little instruction on how they are to perform the job. This is one of those sink or swim moments that we are very fond of implementing in the distribution world. It doesn’t have to be this way. A great deal of fear can be alleviated by simply giving the new manager a set of measurements to watch over. This simple set of measurements, or scorecard, will help the new manager recognize, diagnose and correct problems before they get too far off course. In this article, I will list a few of the common measurements to help you get started. This is the most obvious sales performance measurement, but with a twist. I am not a fan of top line, ego driven sales measurement. If we are going to get our team to focus on what is important, gross margin dollars, we must base our measurement on the right criteria. I like to break the goal down to a daily number so that it is easier to digest and correct if necessary. I like to use this measurement to help the team drive larger orders when compared to the expense of processing an order. Since most wholesale distributors require at least $50 to process an order all the way through to payment, this helps us make sure that we are staying ahead of costs. I am always very conscious of gross margin percentages. This is where distributors can move the needle if they understand how to use strategic pricing models. There are many competitive influences that diminish margins. The profitable distributor must continually fight to stay ahead. With this measurement, we are trying to drive complementary product sales. I always tell my clients and audience, “If we let an order get out the door with just one line item, we have failed to provide superior customer service.” We must teach our sales people that asking customers about complimentary items is a service. There is a good chance that the ancillary item you suggest will allow them to complete their task without further interruption. This one was suggested by one of my private clients. He likes to review this to make sure that a location is continually working with a wide variety of customers. Without watching this, a location can begin to put too many eggs in one basket. This measurement was given to me by a regional manager I worked with several years ago. He had pegged a goal of $10,500 per head. As the number increased, he knew that it was time to add staff. As the number began to fall below the goal, he knew that it was time to reduce staff. This is measured by comparing the number of line items shipped complete versus the number of line items ordered. In other works, how many times could I fill the order complete from stock? The higher the percentage, the more satisfied your customers are. This another customer service measurement that keys in on the most popular items. A couple of years ago, a client and I came up with this one to help make sure that they were adequately stocked on the items their customers were most likely to order. Again, the top 200 items are ranked by hits. Just to clarify, hits is defined as the number of times an item appears on a sales order in a 12 month period. Essentially, we want this number to be very low if not zero. Shipping these items 100% complete will make you look very good in the eyes of the customer. This is one of the most recognized metrics in wholesale distribution. I just want to caution the reader that this is a measurement of stock sales, not all sales. We are really trying to get a handle on the investment made in the location. 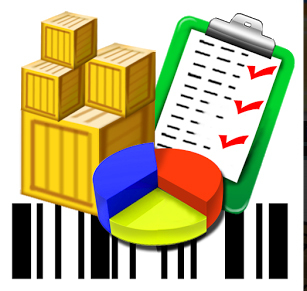 This metric incorporates both the inventory that has been classified as dead and the surplus on hand. Both of these kill operating performance. Most distributors carry at least 35% more inventory than they need to provide superior customer service. Focus on rightsizing the inventory and perhaps you won’t need to upsize the branch. Although this performance measurement isn’t always handled by the branch manager, it can be a good indicator of deep the relationship between the sales team and customer really is. I am a firm believer that accounts receivable performance is driven more by relationships than it is by the customer’s ability to pay. As I stated at the beginning of this article, these are a few metrics to get you started. I am sure that you all will come up with other measurements more specific to your business. Feel free to use this as a guide. Giving your new manager this kind of tool is a good start. In order to really make it effective, you will have to invest the time to help them establish goals and teach them how to course correct. Scorecards, metrics and key performance indicators are all designed to do one thing: keep your eye on the ball. Remember, I am always here to help. Jason Bader is the managing partner of The Distribution Team, a firm that specializes in helping distributors become more profitable through strategic planning and operating efficiencies. The first 20 years of his career were spent working as a distribution executive. Today, he is a regular speaker at industry events and spends much of his time coaching individual distribution companies. For more information, call (503) 282-2333 or contact him by e-mail at Jason@Distributionteam.com. Also visit The Distribution Team’s website at www.thedistributionteam.com.